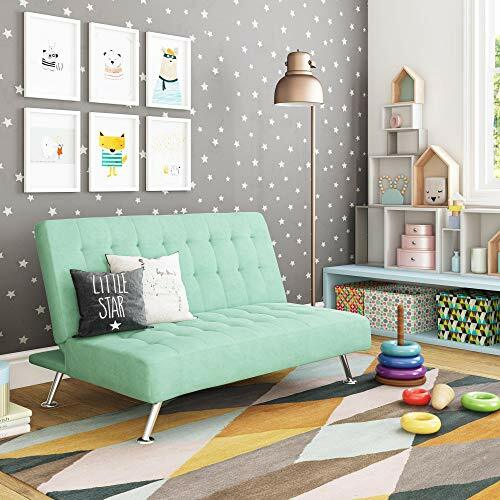 Brandely Futon Covertible SofaCategory: Multi Positional FutonThe Mainstays 72" 2-Position Futon is designed to offer both style and functionality in any space. The classic design gives this futon an aesthetic appeal that will fit perfectly into any room decor while the 2-position adjustable back allows it to easily convert from sitting to lounging and sleeping. American Furniture Alliance Mali-Flex Combo FutonCategory: Multi Positional FutonThe versatile and stylish American Furniture Alliance Mali-Flex Combo Futon features side wings that convert to six unique positions. The frame goes from a sofa chair into a multi-positional lounger and generous sleeper, too. 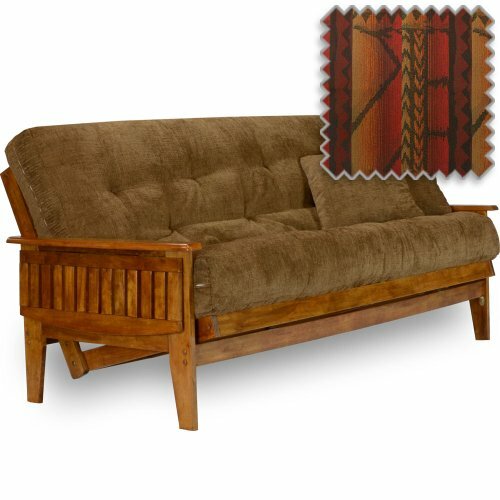 Customize this futon by choosing from a wide range of frame colors, cushion, and pillow options to get the look you want. 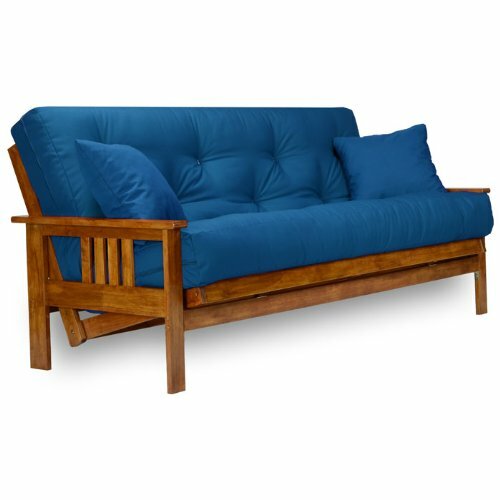 This convertible futon is the perfect addition to your home, dorm, or apartment. American Furniture Alliance Located in Corona, Calif., American Furniture Alliance manufactures a wide range of furniture lines, including futon convertibles, futon mattresses, futon covers and accessories, bean bag chairs, foam furniture, and various accent furniture pieces. Their trademarked lines include Elite Convertibles, Bean Bag Factory, ModFX Foam Furnishings, and the ModernLoft Collection. 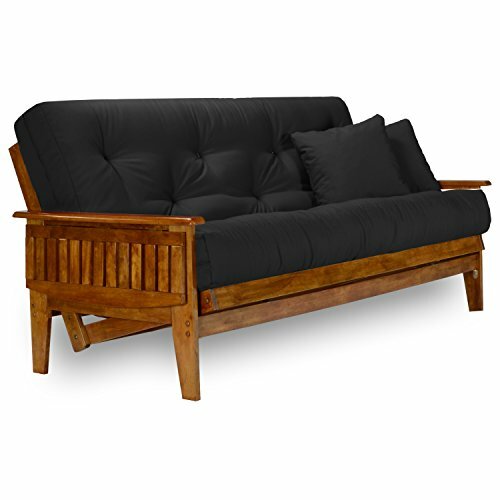 Monterey Futon Sofa with Suede Black MattressCategory: Multi Positional FutonMission style arms. Unique and versatile. Converts to standard full size bed. Sofa height seating. Sit, lounge and sleep position. Drawers for storage. Warranty: One year limited. Made from polyester and solid plantation grown hardwood. Antique white finish. Assembly required. Mattress: 75 in. L x 54 in. W x 8 in. H. Futon: 79 in. L x 37 in. W x 33 in. H (170 lbs.). This multifunctional piece of furniture can find a home in just about any type of room. Monterey Futon in Barbados Finish with Suede Peat MattressCategory: Multi Positional FutonMission style arms. Converts to standard full size bed. Sofa height seating. Sit, lounge, and sleep position. Warranty: One year limited. Solid hardwood frame construction. Polyester mattress. Minimal assembly required. Mattress: 75 in. L x 54 in. W x 8 in. H. Futon: 79 in. L x 37 in. W x 33 in. H (135 lbs.). This multifunctional piece of furniture can find a home in just about any type of room. Monterey Futon Sofa with Oregon Trail Java MattressCategory: Multi Positional FutonMission style arms. Unique and versatile. Converts to standard full size bed. Sofa height seating. Sit, lounge and sleep position. Dark brown mattress. Warranty: One year limited. Made from solid hardwood, polyester, leather and cotton. Butternut finish. Assembly required. Mattress: 75 in. L x 54 in. W x 8 in. H. Overall: 79 in. L x 37 in. W x 33 in. H (135 lbs.). This multifunctional piece of furniture can find a home in just about any type of room. Kodiak Furniture Phoenix Marmont Futon and MattressCategory: Multi Positional FutonFeatures: -Phoenix collection. -Solid hardwood construction. -Converts to standard full size bed. -Plantation grown hardwood. -Sit, lounge and sleep postion. -294 Coil hinged spring, cotton, high density foam, hand tufted. Product Type: -Futon and mattress. Style (Old): -Coastal. Frame Material: -Wood. Mattress Included: -Yes. Dimensions: -Wall clearance: 15". -Seat width: 74". -Height from the floor to the bottom of the futon: 7". Overall Height - Top to Bottom: -33". Overall Width - Side to Side: -82". Overall Depth - Front to Back: -37". Overall Product Weight: -155 lbs. Specifications: Commercial ONLY Certifications: -Yes. 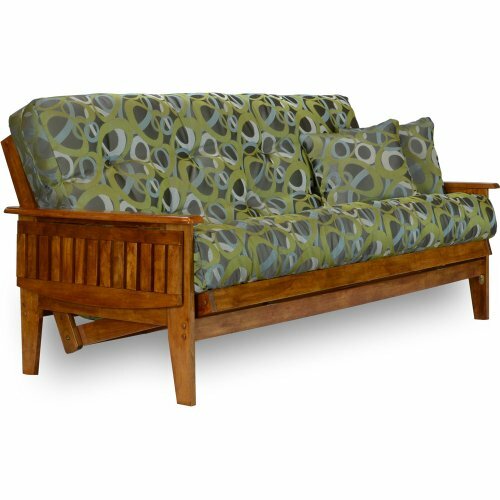 Monterey Futon in Barbados Finish with Suede Navy MattressCategory: Multi Positional FutonMission style arms. Converts to standard full size bed. Sofa height seating. Sit, lounge, and sleep position. Warranty: One year limited. Solid hardwood frame construction. Polyester mattress. Minimal assembly required. Mattress: 75 in. L x 54 in. W x 8 in. 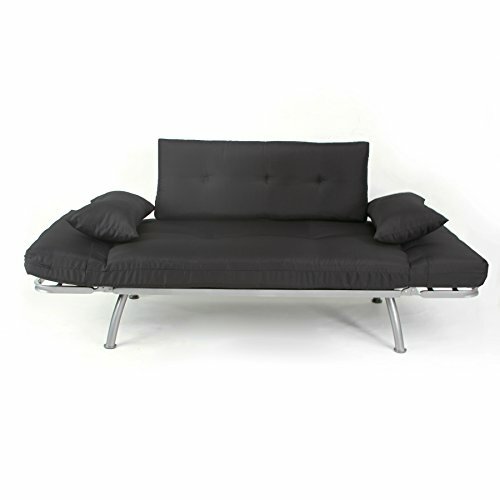 H. Futon: 79 in. L x 37 in. W x 33 in. H (135 lbs.). This multifunctional piece of furniture can find a home in just about any type of room. Phoenix Futon Sofa in Natural Finish with Canadian MattressCategory: Multi Positional FutonTray style arms. Unique and versatile. Converts to standard full size bed. Sofa height seating. Sit, lounge and sleep position. Warranty: One year limited. Made from polyester, cotton and solid plantation grown hardwood. Assembly required. Mattress: 75 in. L x 54 in. W x 8 in. 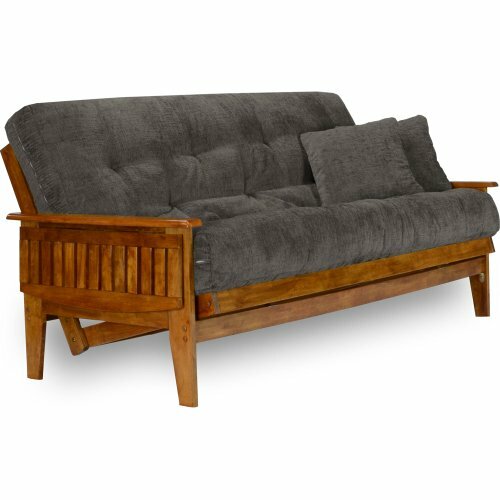 H. Futon: 87 in. L x 37 in. W x 33 in. H (155 lbs.). This multifunctional piece of furniture can find a home in just about any type of room. Phoenix Futon in Espresso Finish with Suede Peat MattressCategory: Multi Positional FutonStorage drawers. Tray style arms. Unique and versatile. Converts to standard full size bed. Sofa height seating. Sit, lounge and sleep position. Built in tray. Tan mattress. Warranty: One year limited. Made from solid hardwood and polyester. Assembly required. Mattress: 75 in. L x 54 in. W x 8 in. H. Overall: 87 in. L x 37 in. W x 33 in. H (193 lbs.). This multifunctional piece of furniture can find a home in just about any type of room. 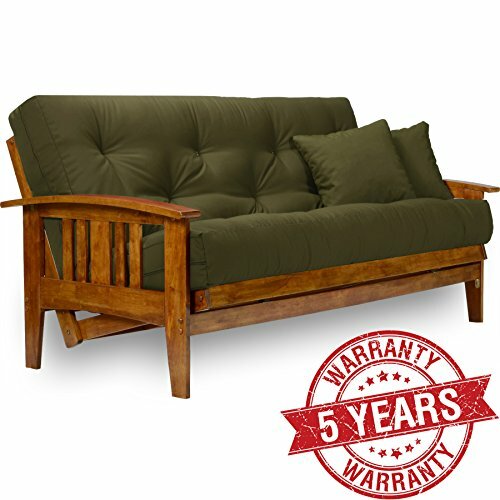 Monterey Futon Sofa with Suede Olive MattressCategory: Multi Positional FutonMission style arms. Unique and versatile. Converts to standard full size bed. Sofa height seating. Sit, lounge and sleep position. Drawers for storage. Warranty: One year limited. Made from polyester and solid plantation grown hardwood. Antique white finish. Assembly required. Mattress: 75 in. L x 54 in. W x 8 in. H. Futon: 79 in. L x 37 in. W x 33 in. H (170 lbs.). This multifunctional piece of furniture can find a home in just about any type of room.